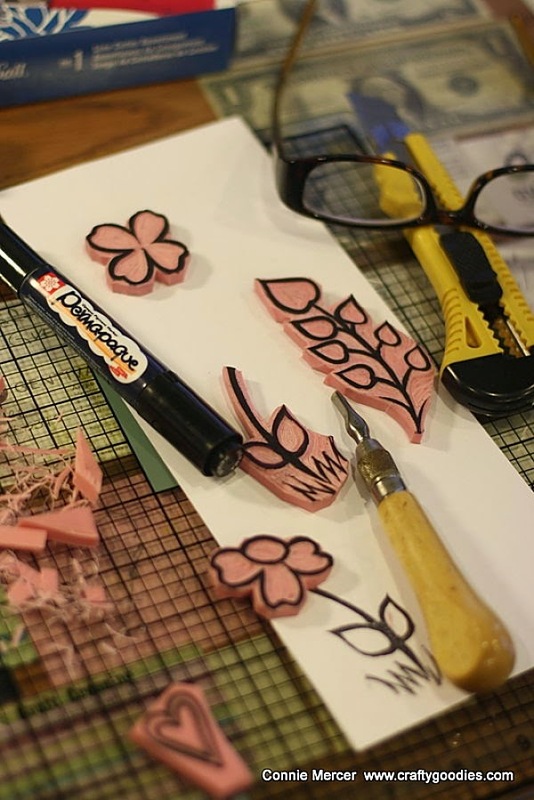 crafty goodies: Stamp Carving~ flower set! 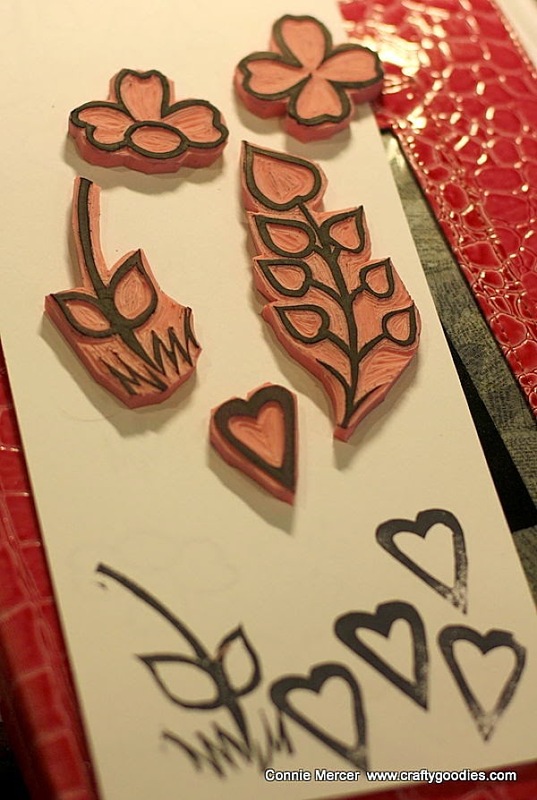 I've been doing some stamp carving. I did them a little different ~instead of leaving the shape solid, I carved out the centers. Making the shape in an outline. I try to get them as clean and precise as possible so I wear "cheaters"
Just used scraps, to create this using the flower set! What a cool and NICE looking IDEA!!!!!! Olá Connie,quero aprender essa arte,mas me parece ser difícil.Uma pergunta,você risca o desenho na borracha com qual caneta? Boa semana.Valéria. Those stamps are gorgeous! Great job on those!!! I love love love the card you made with them!! Beautiful!!!!!!!! 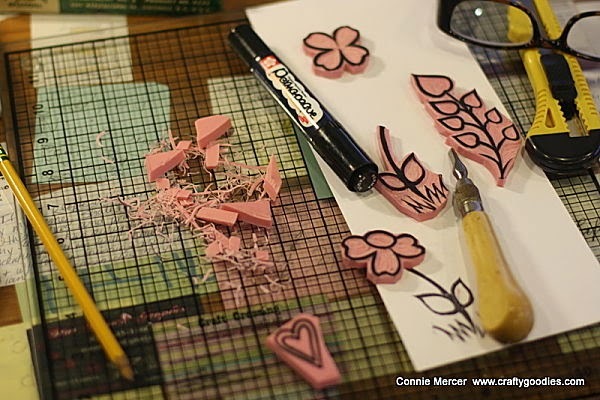 Spring is here, in stamp form at least. Love these, Connie! wow you are a pro at carving now.. these are gorgeous.. Try It Tuesday~ decorating eggs, some ideas! Juice, as in Carrot with Darkroom Door! Catalina Island by Quick Quotes! 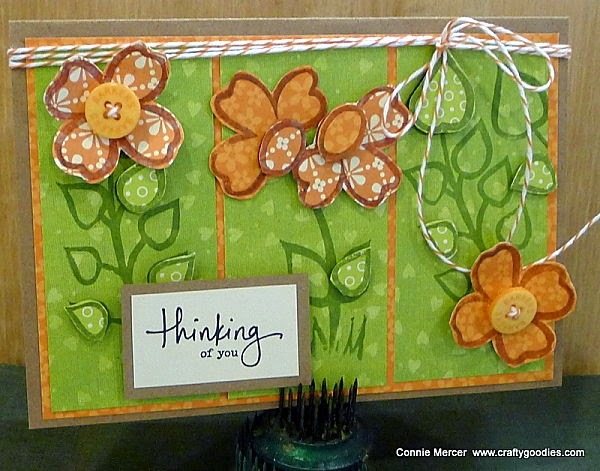 Try It Tuesday~ A gift that will be a hit!! The Sewing Loft~ a shout out!!!! A small acrylic clipboard~ Clear Scraps! Try It Tuesday~ Trail signs for the Ranch! The Everything Gift~ Darkroom Door!!! My 6 loves~ a scrapbook page! 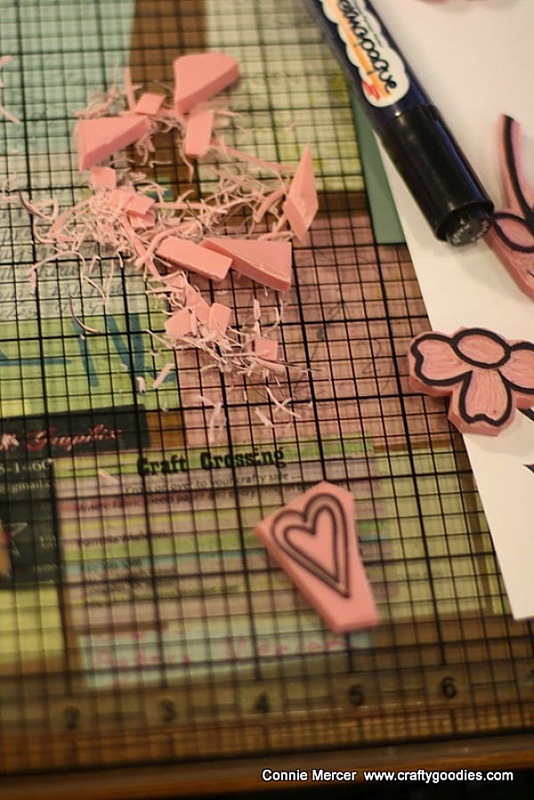 Craft Crossing Class ~ Saturday, March 14th! Off the Page~ March Challenge with Quick Quotes!